Beria was the chief of the Soviet NKVD, the apparatus that contained both the regular and secret police, and was at the head of the Gulag. At the Yalta Conference, Stalin introduced Beria to U.S. President Roosevelt as “my Himmler”. 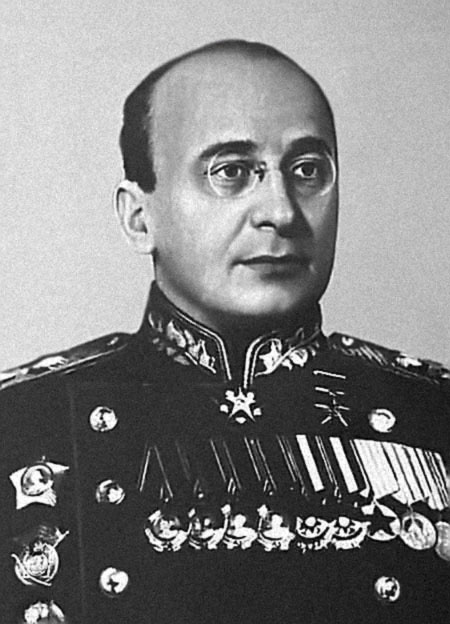 On this day, Stalin’s most notorious associate, Lavrentiy Beria, was executed. Beria was the chief of the Soviet NKVD, the apparatus that contained both the regular and secret police, and was at the head of the Gulag. At the Yalta Conference, Stalin introduced Beria to U.S. President Roosevelt as “my Himmler”. Beria was feared even by his colleagues in the Politburo, because he could put their relatives and friends in jail. He also had the rank of Marshal of the Soviet Union. He was a Georgian by origin, just like Stalin, which allowed the two to speak privately in their own language while among Russians. After Stalin’s death, Beria became a member of the ruling troika in the Soviet Union, but a big opposition was formed against him. He was arrested and charged by the Politburo. On this day, he was executed personally by General Pavel Batitsky in the basement of the infamous Lubyanka prison in Moscow.